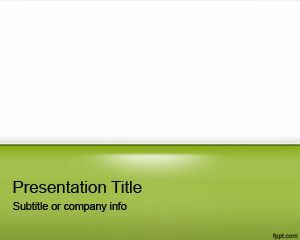 Green School Homework PowerPoint Template is a free PPT template with green solid background and notebook style theme for educational presentations and homework PowerPoint templates. 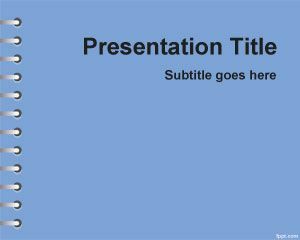 The title slide is quite simple, while the inner slides are ideal for an illustration. 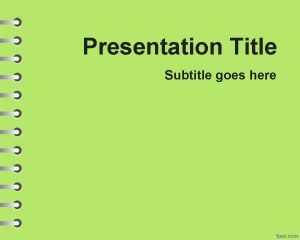 You can download this free green PPT template for simple presentations in Microsoft PowerPoint 2007 and 2010. 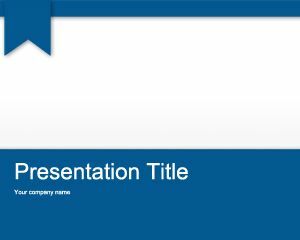 Download presentations regarding futuristic education, such as free Green technology PPT slides and Blue technology PowerPoint theme. 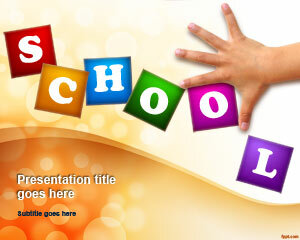 Free Green school Homework PowerPoint background is an academic background used in institutes. In school, colleges and other institutes, students are often asked to give presentations on particular topic related to their field of interest. They can use free PowerPoint backgrounds to make presentation on the topic of their choice. 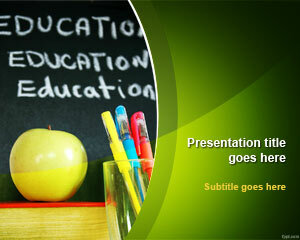 Most teachers are also looking for a simple and conventional style slides to explain their lectures. Briefings and demonstrations given with the help of digital technology helps in being successful in professional life, where interns are faced with demanding managers, asking for reports. I plan to use this PowerPoint in creating teaching displays for my students. I teach computer/tech classes grades 1-8.